Hear what our clients have to say about Wallaby Pest Control. We have just had our home treated for white ants, and would not hesitate to recommend Wallaby Pest Control. With their first visit they answered all of my questions and gave us sound advice. Also checking in the walls for infestations. On the second visit they did a full termite and pest inspection then went through and around the house setting various baits and traps. The technicians were punctual, courteous and very clean. Thanks guys I will certainly deal with your company again should the need arise and would not hesitate to recommend you to everyone. Thank you again & just on another note please let your team know it’s really refreshing to work with a company that not only makes an appointment to turn up to quote a job with a time, but actually turns up every time that they say they will. In the last 12 months I would have ask over a dozen companies for quotes for various work and Wallaby Pest Control is the only one so far that has kept its appointments. Best Pest Control. Wallaby Pest is a very professional company who are dedicated in ensuring they provide the best service for their customers. They are very will priced and prompt with service. Fantastic experience every time. One of the Best. Wallaby Pest are always a pleasure to deal with. They do a good deal if you’re looking at having both a pest spray and termite inspection. 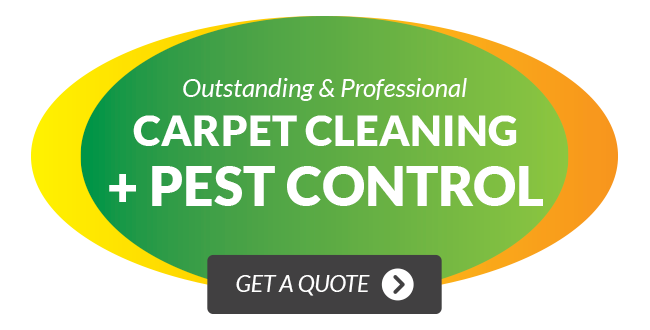 Not only that, they also offer excellent carpet cleaning which gets the toughest stains out. Nice guys to deal with. The team at Wallaby Pest Control have always been a pleasure to deal with, there efficiency with timeframes on all of our work orders is second to none, prices are reasonable and the standard of work carried out on our homes is with a high and professional standard, we would recommend Wallaby Pest Control to anyone for any of their Pest Control Needs. Our two complexes were in need of new pest control operators, and we approached Wallaby Pest Control for a quote for their services. From the first contact with them, and throughout the quoting process, we received excellent communication, eventually accepting their quote for servicing of our termite stations, and also rodent control. Next stage was working with their technicians, and that was a revelation to us, so easy to work with, and nothing was to much trouble or a problem for them. We would highly recommend Wallaby Pest Control to others seeking their services. Fantastic local business we have been using for 4 years. Always outstanding service. Thank you Wallaby. Using these guys for past 5 years, the best quality and the best service. Thank you Clint and the team! Found the service given by Jay and his team to be excellent. Extremely professional, efficient and lovely to deal with. We chose Wallaby Pest Control over two other companies who quoted the same termite treatment job due to the customer service and advice received by Jay. Highly recommend this company.